Photo: Headstone of Corp. Jefferson Dilts Co. G 1 Minn. Cav. 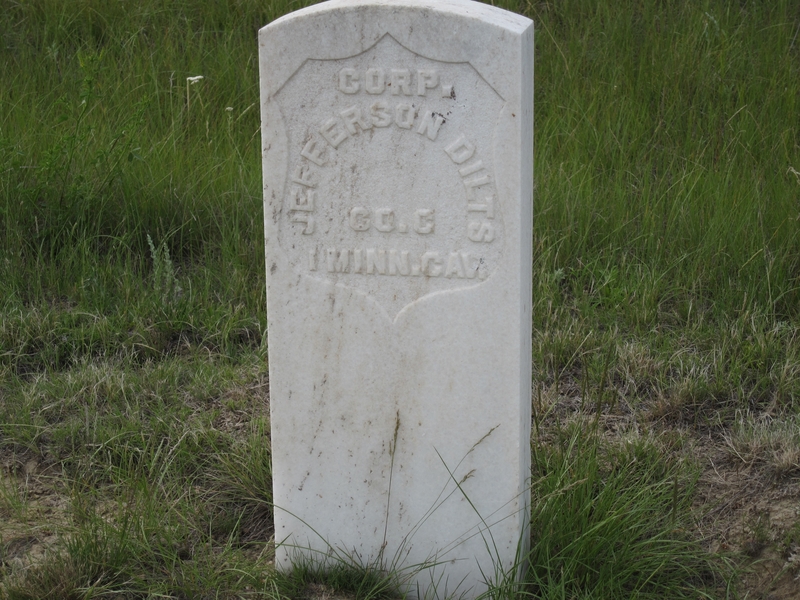 Caption: Headstone of Corp. Jefferson Dilts Co. G 1 Minn. Cav. Additional Description: Dilts was one of the three soldiers interred under the fortification wall, the others were Marma D. Betts, Co. F 6 Ia. Cav. and Thomas C. Williamson, Co. A 6 Ia. Cav.